These guys say it's worse than the iPad, better than hcomb. 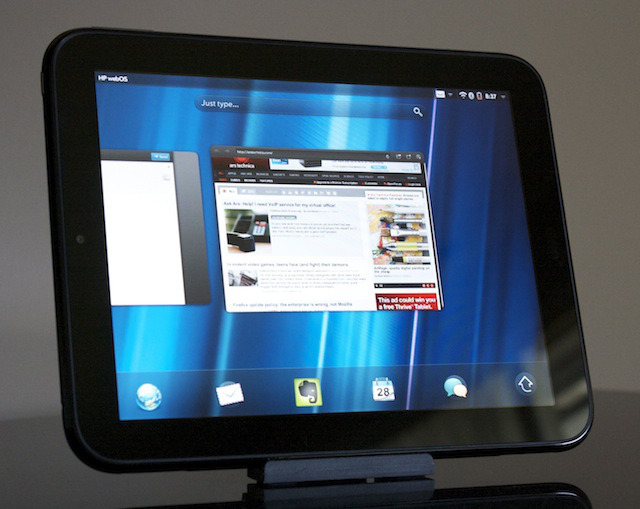 First announced back in February, the HP TouchPad looked like a powerful way to extend the rescued-in-the-nick-of-time webOS user experience onto a hot new tablet. The faithful have waited, and their waiting has at last been rewarded: the TouchPad launches today with the much-improved webOS 3.0, a great set of native apps, and a new App Catalog feature to help consumers wade through their app options. The TouchPad delivers smooth and snappy performance on everything from games to Web browsing, but it's not without problems; it's hefty and thick, it only has 300 native apps, and many app essentials are nonexistent or available only as phone version emulations.